I met a man that I hadn't see for a long time the other day. He was a huge influence for me years ago and I had a chance to catch up on life with him. Thirty plus years ago he gave me opportunities as a "twenty-something" that I would be hard pressed to duplicate today for the younger people I know. I can't imagine handing similar projects over to someone that young that we're so important to a company. Thirty some years ago, M J Madden [M.J. remembers Pearl Harbor as a child news article] had a fledgling company called Tel-Elec Consulting Engineers that provided consulting engineering work to then giant Telcos Southwestern Bell and General Telephone. I hired on as a green draftsman just out of high school and trying to go to college. The Engineers would take field notes of where to place cables and a couple of us would take the notes and draw them up to look pretty. That was about it, just drawing up what was already designed, adding title blocks, and nice consistent text by hand. No computers, no Computer Aided Drafting (CAD), just good old by hand drafting. Life was good, I wasn't sacking groceries anymore but had a "real" job that paid much better than before. This was what I had chosen as my career and I was living it. Then something funny happened. M.J. and the other engineers started asking ME to go out with them and help TAKE field notes, and then I was being sent out to take field notes on my own to design where cables would be placed and connected to the phone systems. It wasn't just me, their were other draftsmen as well but it felt good, I felt important and subconsciously I guess I wanted more. Better pay came with the added duties so no complaints there. Even without the added pay I would enjoyed the new learning and accomplishments. Times seemed to move fast. There were good times when had more to do than was possible and there were bad times when it was ok to play frisbee outside for extended times because there wasn't enough work to stay busy but M.J. and the other owners didn't want to let us all go. Slowly the work came and we were busier than ever. Soon we were in a newly remodeled building and I even had my own OFFICE. I was a twenty something with an office and a well paid job with generous wages and not having to commute an hour each way to work. Life was good. As the company grew, the need to diversify was made and my first exposure to a "computer" came through M.J. Madden and Tel-Elec. 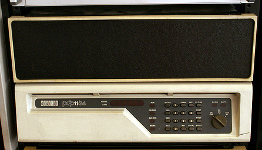 The company purchased a DEC PDP 11/34 system for time sharing stepping into the computer age in the early 80's. This was a nearly $100,000 investment back then I understand and before long *I* was actually given an account and allowed to play on this mini computer. Wow. It was very interesting. So interesting that I had to have my own and purchased a Sinclair ZX-81 "kit" that my Dad helped me assemble to learn more about this new world. Before long I was entering code in the PDP using a BASIC type of language and learning how to program through sample programs and trial and error. I found a "Drag Race" BASIC program that would let you input the horsepower, weight, traction factors, and more and would crank through the calculations to "run the race". It took longer for the program to run than a real drag race did sometimes but it was still pretty cool. The computer bug was well established and from there on that was my interest. I was given opportunities to update, enhance and write programs for our Time-Share customers and before long we bought PC based computers... not some expensive IBM but CPM-86 computers before the day of the "Standard PC". Quite an amazing time period. A time with ISDN 128kb data speeds were pipe dreams and the "future" of business and homes. 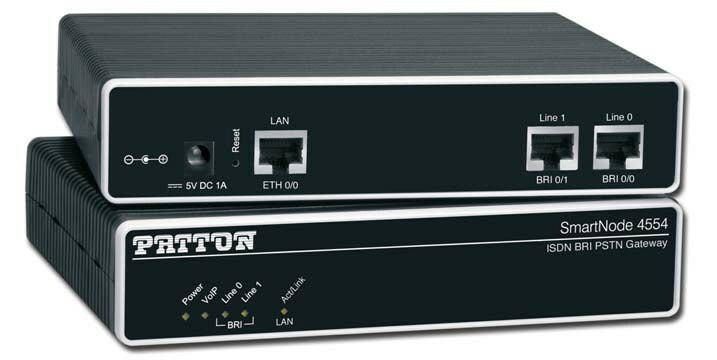 I even had a dual channel ISDN circuit at home later on which was quite expensive back then but amazingly fast for the time. Honestly I owe my career to M.J. Madden who saw a little talent, a little drive, and opened up doors for me to prove, to myself mainly, that I could do it, I could learn, do, and excel at things that the future would bring. I am still amazed that I was allowed to be responsible for long range outside plant plans, telephone cable air pressurization projects, and the large computer projects that were made available to me in those early times during the 1980's. It seems so little, so small by comparison to just say "Thanks M.J." for being not only the mentor but providing the opportunities for me to see what I could do during my twelve years with the company.